I mentioned in one of my previous reviews that one of the best things that happened when I started Mega-Depth was being contacted by newer artists. I do my best to keep an eye out for new music; but no one has an infinite amount of time (if you do, don’t share your secret with anyone!). Sim Diamond is one of these artists who has written to me to introduce his music. He’s released his first album called Lost in the Haze of a Dream under the moniker Universal Minds. It’s a guitar-driven instrumental album with 8 tracks that’ll occasionally remind you of the likes of Michael Schenker. This is my second instrumental album review after Gretchen Menn’s “Abandon All Hope”. Sim Diamond, as you may have guessed, is a stage name. He told me he was such a big fan of King Diamond that the nickname his friends gave him years ago has stayed with him. That’s cool in my book since I’m a huge fan of King Diamond myself! His music, which I’ll explore in the following paragraphs, has hints of not just Andy LaRocque from King Diamond, but I also heard traces of melodic phrasing that Hank Shermann and Michael Denner from Mercyful Fate used a lot. Considering all three of these guitar players are some of my biggest influences too, I was naturally drawn to check out the whole record! There’s another reason why I wanted to hear the music. You may remember the review I did for Vibrant Heels about a month ago. I mentioned there that before Vibrant Heels was formed, they were called Upon Your Grave. Sim was a member there and was playing with them. When they decided to go their separate ways, we got Vibrant Heels and Sim chose to go on his own and called his band Universal Minds. 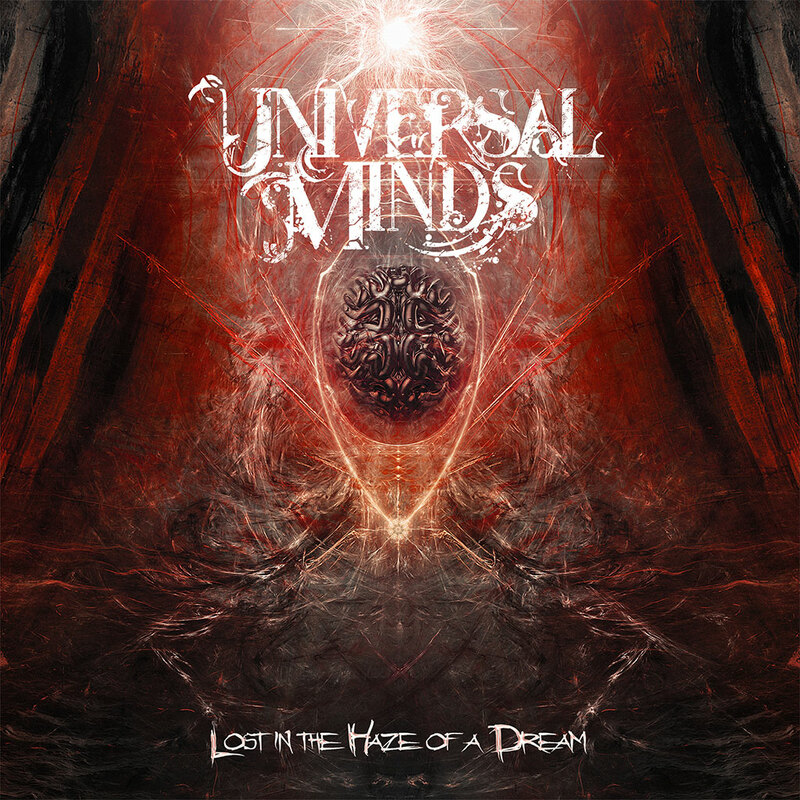 Well, I say band but Universal Minds is a one-person operation with Sim at the helm. For this year’s Lost in the Haze of a Dream, Sim played all guitars and programmed all other instruments himself. Before we talk about the album, I’ll mention one other area where you may have actually seen Sim perform! A lot of us are into metal and guitar playing. If you are into both, you may have seen Shredders of Metal on YouTube. It’s a show produced by BangerTV, where 7 guitarists compete to be the winner. One of the judges in the panel was Testament’s Alex Skolnick, so it must have been nerve-racking to perform in front of someone like that. And with no backing track! But Sim did it; he was one of the contestants! I won’t spoil what happens in the show; but if you are interested, I put a link to the first episode at the end of the article. More often than not, when guitar players release an instrumental record, there’s understandably a lot of emphasis on technical skills as you have to wow the audience without any vocals. Nothing unusual about that. But I thought Sim’s emphasis was a little different. Yes, there’s lots of guitar here and he can certainly play! But I’d argue the emphasis is on the melody rather than on guitar playing itself. The guitar is merely a tool to get the accurate mood on record. 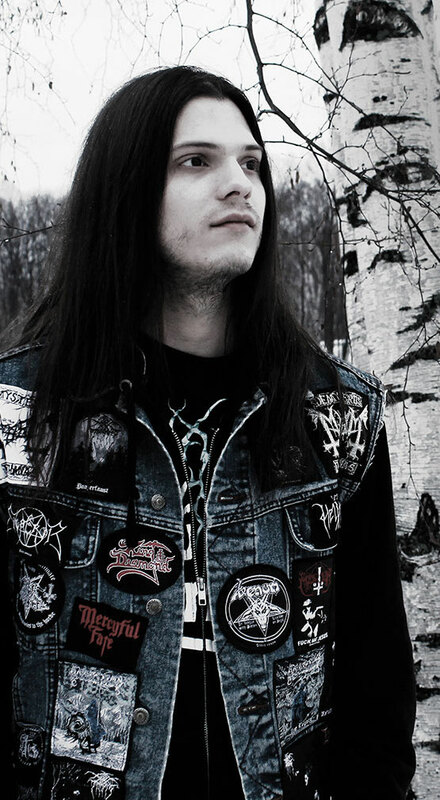 Speaking of moods, the overall vibe is rather dark; not dark in traditional heavy metal terms, but rather sorrowful. Sim told me he wasn’t particularly influenced by anything when he was writing the music, he just played whatever he was feeling at the moment. So, I can’t really pinpoint to a reason. And perhaps that’s not the vibe he intended. But as a listener, I sensed melancholy. I don’t say that as a bad thing; quite the contrary, I thought the music did a good job of evoking certain emotions. Listen to the opening track, and you’ll immediately know what I’m talking about. Sometimes I thought the leads were buried a bit in the mix. Sim’s guitar playing is tasteful. Usually, you’re hooked with a nice melody; but it was often hard to follow due to this issue. I listened to it with two different headphones, as well as Yamaha HS monitors, and reached the same conclusion. It actually gives the album a nice early ‘70s vibe so there’s one upside. But to be perfectly honest, with better production values Sim’s guitar playing would shine a lot more. I completely understand and respect the fact that it can get really expensive to invest in better equipment for a better sound. So, for young artists, these issues may persist until they are able to afford certain upgrades. But with just a few improvements, I think Sim will be able to reach an even wider audience. As always, I want to leave you with some highlights from the album. The opener, Echoes from a Far Reality, is an absolutely beautiful track. The string section in the opening makes it sound like a film score. I could almost picture a scene where the protagonist is saying goodbye to a loved one. Right here, the atmosphere, the overall vibe of the whole record is set. There’s some mellow guitar playing later in the track, but most of the mood is set up by the keyboards and strings. I’m assuming these were programmed; but as someone who dabbles in MIDI writing, I certainly appreciated how well the instruments were intertwined. With Alchemy of Lies, we continue with the same vibe. But this time, Sim’s guitar playing is more prominent in the song. I thought the bass at the beginning was very well written! I think Sim definitely has the right idea about guitar playing. It was pretty apparent by listening to this track. His playing isn’t about showing off, it’s more about what the guitar is trying to evoke inside of you. There’s a fantastic part around the 4:20 mark with some cool heavy metal rhythm guitars going on! The next track, Reign of Stars, kicks us off with a nice, melodic arpeggio. The early ’70s classic rock vibe was strong with this one! There are hints of Michael Schenker and Ritchie Blackmore’s playing – at least the way certain notes were phrased reminded me of those two. The arpeggios behind some of the leads, as well as the bass, were very well written. I’m studying how to harmonize certain parts – and let me tell you, it’s no easy to come up with the right notes when you have to worry about multiple instruments. I thought Sim did a great job on this song. If the production and mixing had been a little different, I think the harmonies would have come across a lot clearer. By the way, after the 4-minute mark, there’s a pretty awesome guitar section that will for sure remind you of Iron Maiden. This was probably my favorite track on the album. Then, Winter Romance explores a similar vibe as the previous tracks. There are mellow melodies all around, as you’d expect from a song with this title. I liked the acoustic ending a lot. Land of Dreams and Mist starts with a very atmospheric melody, dominated by what I assume was a church organ. It might be something else, but definitely has that sound to it! We continue our overall vibe of slow, mellow melodies. It actually reminded me a little of some of the songs Marty Friedman wrote with Kitaro for his 1992 album, Scenes. The song does go into rock territory a little later, with some distorted rhythm guitars kicking in. With a better production, these rock sections would have sounded so great! There’s some great double-bass drumming, and the rhythm and bass sections are nicely written. Journey of the Lonely Soul continues in the same footsteps as the previous tracks. I’ve enjoyed the style explored on the album in general, but I wish the songs had shown a little more diversity. It would have generated a richer listening experience and helped tracks to stand on their own. Good news is, we get into Classical Chemistry, which is probably my second favorite on the record. The vibe is very different on this one, Sim followed a more neo-classical sound on the song and I think it works! It reminded me of some Cacophony tracks. What I love is that it’s very, very different than the rest of the songs so it stands out! It’s also nicely streamlined, so it keeps you engaged. There some tasty guitar licks here, if you’re into what is commonly referred to as neo-classical metal, I think you’ll dig this one. I absolutely loved the breakdown around the 1:30 mark; the rhythms, the lead, and the drumming are all extraordinary. This is a great track and allows Sim to showcase his skills too! He can certainly shred when he wants to! We end the album with Endless Emptiness. It takes us back to the main vibe of the record. I guess it makes sense to end the album this way since these tones were dominant throughout. My overall impression is Sim is off to a good start. There are so many guitar players that don’t pay attention to songwriting and melody; but ultimately, you need skills in both. Sim has the right idea and his sense of melody and phrasing is unquestionably good! I’ve enjoyed listening to the album multiple times. My only recommendation would be to explore some new sounds and improve the overall mix for the next record. But whatever he chooses to do, he certainly has the knack to write songs that King Diamond himself would be proud of! I’m curious to hear where he will take his music next.